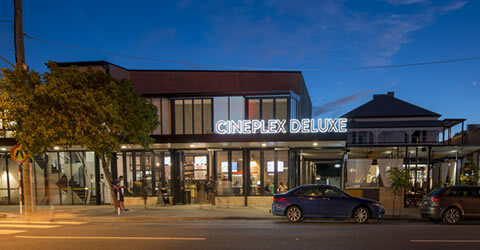 The Hawthorne Deluxe Cinema is a boutique addition to the 3-screen Cineplex theatre across the road. 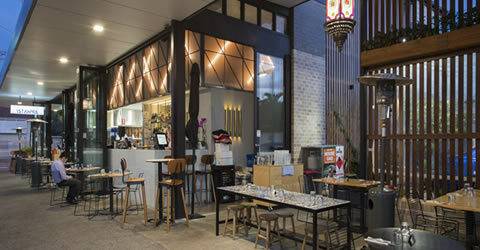 Encompassing two restaurant tenancies (one in a re-purposed pre-1900s house), the precinct celebrates the characteristic features, place specific materials and strong community atmosphere of the site and its surrounds. The project involved the demolition and removal of existing pavements, trees and redundant services as well as relocation, raising and refurbishment of a pre-1900s house. 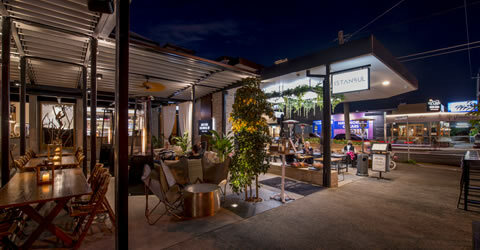 The new Cineplex Deluxe Hawthorne features new 64seats, the latest laser projector with 3D capabilities, a candy bar and alfresco dining area, a “wine and dine” space underneath the heritage house. 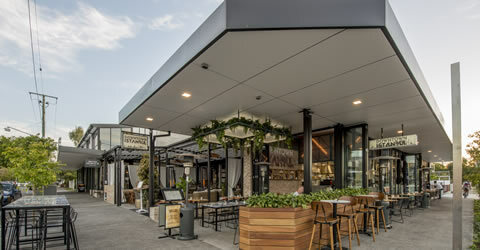 The refurbishment of the heritage cottage included installation of new services to facilitate the later fit-out of a restaurant tenancy. 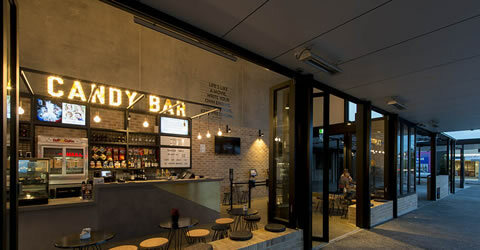 Added to the ground floor was an architecturally designed amenity area. 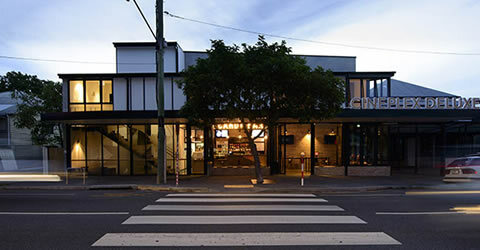 The ground floor restaurant tenancy features spotted gum timber bench tops, exposed brickwork, vertical folding windows and doors and polished concrete floors ready for fitout by a restaurant tenant. The first floor features new spotted gum timber seating, new lattice type period balustrades and frieze to an existing balcony to complement the age and period of the cottage. 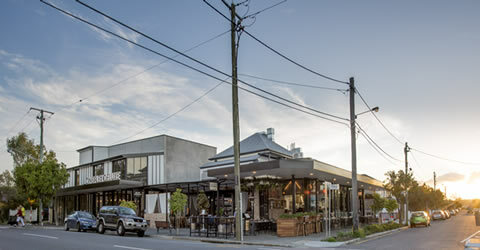 Adjoining the relocated cottage is a new restaurant tenancy constructed and ready for fitout including 3.5 metre high bifolding glazed aluminium doors that open towards street dining areas and polished concrete floors. 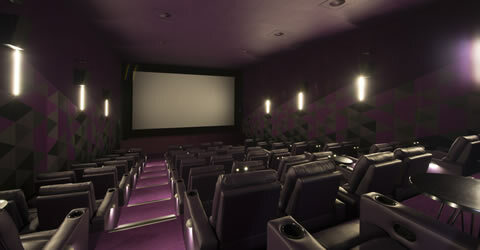 The new cinema contains a fully fitted out commercial kitchen, coolroom and back of house office. Architectural finishes in the lobby room include polished concrete, feature steel staircase with spotted gum treads and risers and brass and timber custom handrails.